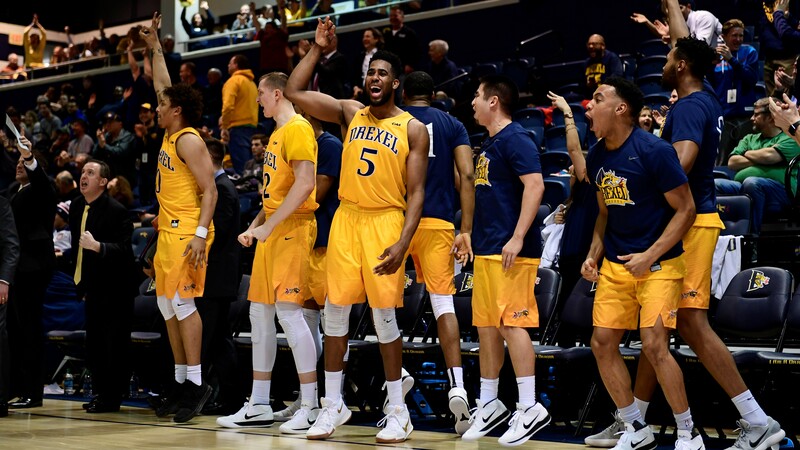 Drexel pulled off a truly unbelievable comeback against Delaware. Why am I leading Hot Clicks in the middle of the Olympics with a CAA basketball game between two sub-.500 teams? Because Drexel pulled off the biggest comeback in the history of Division I. The Dragons trailed Delaware 53–19 late in the first half. That's 34 points! And they came all the way back. Kylie Jenner sent a tweet and Snapchat’s value plunged by $1.3 billion, which is a cool and normal thing. New data shows that Taco Bell has surpassed Burger King as America’s No. 4 fast food chain. I’m just including this to mention that I tried Taco Bell for the first time in December and it gave me food poisoning. Raven Lyn was photogrpahed by Yu Tsai in Aruba. Swimsuit by Andi Bagus. Raven Lyn was photogrpahed by Yu Tsai in Aruba. Swimsuit by HAUS OF PINKLEMONAID. Raven Lyn was photogrpahed by Yu Tsai in Aruba. Swimsuit by AreYouAmI. Raven Lyn was photogrpahed by Yu Tsai in Aruba. Swimsuit by Private Party. Raven Lyn was photographed by Yu Tsai in Aruba. Swimsuit by Kai Ulu Swimwear. Raven Lyn was photogrpahed by Yu Tsai in Aruba. Top by AreYouAmI. Swimsuit by Monica Hansen Beachwear. Raven Lyn was photogrpahed by Yu Tsai in Aruba. Top by Sports Illustrated Active. Swimsuit by Monica Hansen Beachwear. Raven Lyn was photogrpahed by Yu Tsai in Aruba. Swimsuit by Kai Ulu Swimwear. Raven Lyn was photogrpahed by Yu Tsai in Aruba. Raven Lyn was photogrpahed by Yu Tsai in Aruba. Swimsuit by Beach Bunny Swimwear. The Olympic gold medal favorite Evgenia Medvedeva got totally robbed in the women's figure skating final last night. I have a hard time getting upset at college athletes who get paid, but this new report from Yahoo implicates some of the biggest teams in NCAA hoops. ... Tim Cowlishaw admitted that he’d sometimes tank on Around the Horn if he wanted to skip out and go to lunch. ... Yoenis Cespedes has made the difficult decision to give up golf in an effort to stay healthy. ... The NBA is reportedly considering a tournament to determine the last few playoff spots. ... Thunder fans missed Russell Westbrook’s buzzer-beater due to an emergency alert test. We love Nordstrom, and the Nordstrom Winter Sale ends this weekend, so if you haven't taken a look at up-to-40%-off discounts on everything in the store, go there now. Look at all those crabs!